Join us on a Photo Tour and Photo Workshop across North America. We visit Alaska, Florida, Tennessee, Montana, Wyoming, Maine, New Hampshire, Massachusetts, Connecticut, Rhode Island, Alaska, Utah, Arizona, Minnesota, Delaware, Maryland, Virginia and Washington. Some of the national parks that we visit includes Yellowstone, Grand Teton, Katmai, Mt Rainier, Olympic, Great Smoky Mountains, Kenai Fjords, Mt Rainier, Olympic, Canyonlands, Arches, Everglades, Big Cypress Preserve, Shenandoah, Lake Clark, Everglades, Big Cypress, Grand Canyon, and Acadia. John Slonina, a professional nature photographer, leads the photo tour to some of North America's most beautiful and wild places. Explore the best locations at the best time for an unforgettable experience. Find out how to create award winning images and shoot like a professional. Develop your own personal vision and take your photography to the next level while having fun. All skill levels are welcome from beginner to professional. Our group size is limited to 6 to 8 people so each person gets personalized attention. Learn how to take advantage of the features of your camera and equipment to maximize its potential. Before the trip is over, you will have a solid understanding of many new photography techniques and you will experience an adventure of a lifetime. For the last 6 years, every photo tour and workshop was sold out, so please book early. Explore one of the greatest ecosystems in the height of winter. Incredible wildlife and landscape photography during one of the most photogenic times of year. 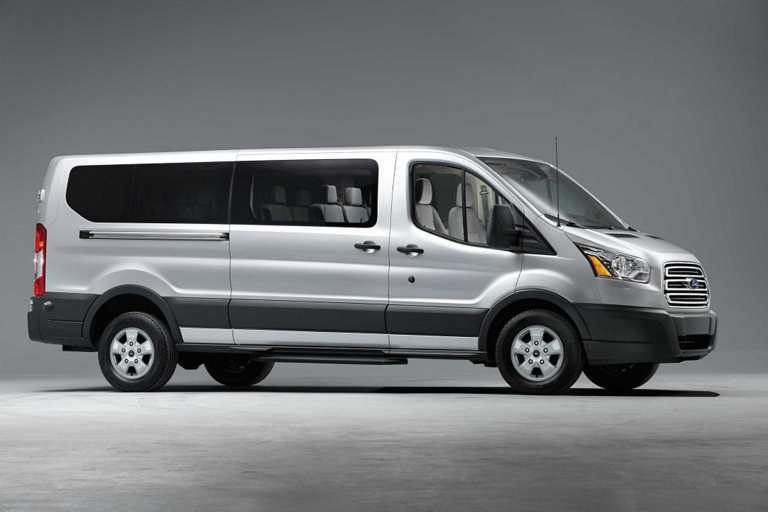 We will travel by private van and snow coach. Escape the cold and join us in paradise as we photograph the wild areas of Florida. 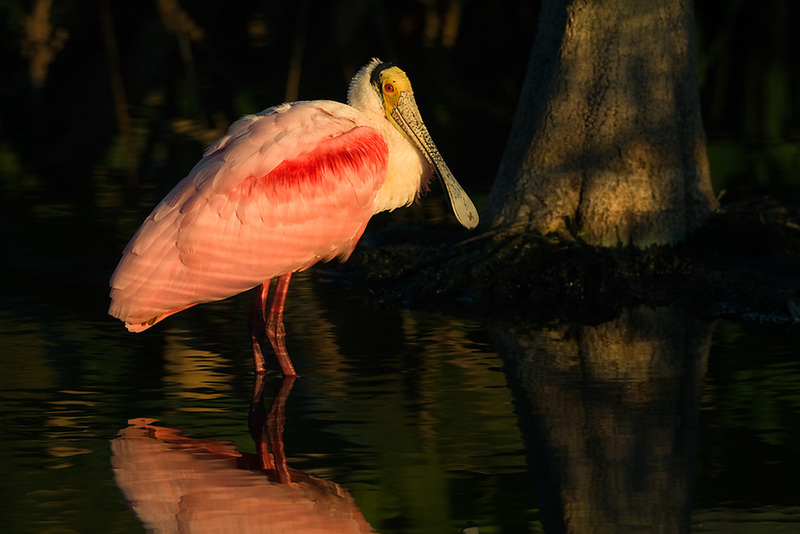 We will be photographing several birds including spoonbills, nesting eagles, ospreys, hawks, owls, pelicans, herons, alligators and many more species of wildlife. We will spend will spend several days exploring my favorite locations Sanibel Island, Everglades, and Big Cypress National Parks. We will explore beautiful coastlines, swamps, boardwalks, dirt roads and several secret locations. This is bird photography at its best. Join us as we photograph birds and wildlife of Central Florida We will spend several days exploring my favorite locations in Central Florida including world class locations along the East coast and Lakeland. This tour will not overlap the locations of the other tour. We will explore beautiful coastlines, swamps, eagle nest, boardwalks, dirt roads and several secret locations. The Northern Lights are one of the most spectacular natural displays on the planet. These magical lights are just one of the many things we have planned. This trip is scheduled to coincide with the new moon and at the peak time of year. John Chumack, a world renown professional Astro-photographer will be the co-leader. Photograph some of the most spectacular lighthouses, harbors and scenery on the East Coast. One night will also photograph the milky way. This tour includes a boat trip to photograph a Puffin colony and Seals. 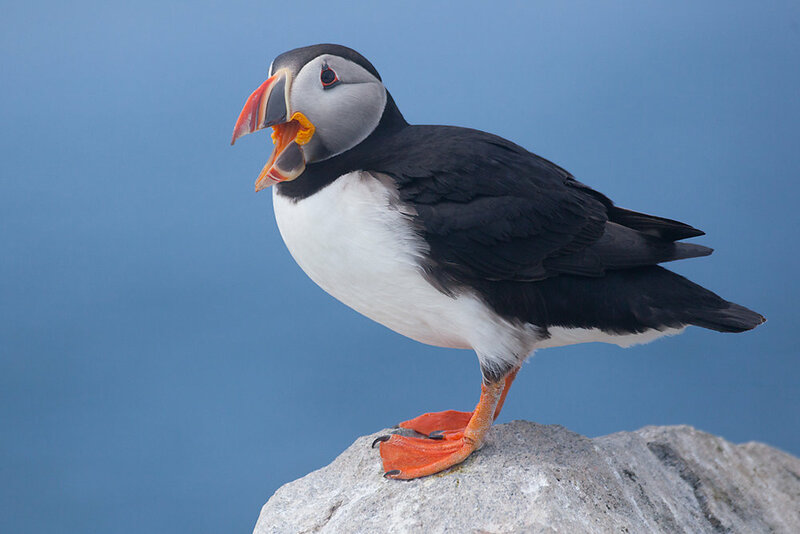 Join the puffins on a remote island off the Maine Coast. Join us as we travel to the remote Downeast Maine Coast. We will photograph some incredible wildlife and landscapes by land and sea. We will be taking three boat rides to see Puffins, Seals, Whales, Eagles, multiple lighthouses, and other coastal landscapes. We will also visit Campobello Island in Canada and Quoddy Head Light (Easternmost point in US). Explore Wild Alaska by land and sea. As we photograph Glaciers, Mountains, Bald Eagles, Whales, Sea Lions, Seals, Moose, Sea Otters and Puffins. This trip includes 3 separate full day boat rides on a small private boat that we can approach wildlife closely. This is an incredible trip for both wildlife and landscape photography. These world famous parks are one of the most exciting places in the world to photograph landscapes and wildlife. They are a must see on any nature photographers list. September is a great time to visit as the huge summer crowds and traffic jams are gone. The legendary wildlife is more abundant and in full winter coats. Subjects include the rut, stunning scenery, fall foliage, iconic waterfalls, geysers, mountain ranges and much more. Photograph incredible natural events on a trip of a lifetime. Join us as we travel to the beautiful Rangeley Lakes in Maine, White Mountains and Northern NH to photograph peak fall foliage, majestic waterfalls, streams, wildlife, wildflowers, mountain ranges, and reflections.. Photograph some of the most spectacular lighthouses, harbors and scenery on the East Coast. This is the time of year when the fall colors are peaking at this location. Beautiful coastal landscapes and wildlife including thousands of migrating Snow Geese, Swans, Herons, Egrets, Red Fox, the endangered Delmarva Fox Squirrel, River Otters, and White Tailed Deer. We also will look for the famous Wild Horses. Since this area is protected wildlife, sightings are common and many species allow a close approach. We also will photograph several beautiful coastal landscapes, sand dunes, surf, forests, sea shells, marshes, and a lighthouse. We will be announcing other tours and workshops.